We are a husband, wife, & doggie team from NYC embarking on a journey to literally cultivate roots in the fertile soil of the beautiful Dominican Republic and enrich our lives in the process. Renzo is a first-generation Dominican-American with a natural knack for herbal healing and gardening. He has a great love for his heritage and feels most at home amongst the people and culture of his parent’s homeland. I (Annie) am a third-generation Italian-American with my own connection to DR that began as an unforgettable trip to the island when I was 7 years old that changed my whole life and perspective on the world. I have since returned to the Caribbean many times as it is where I feel most at home. 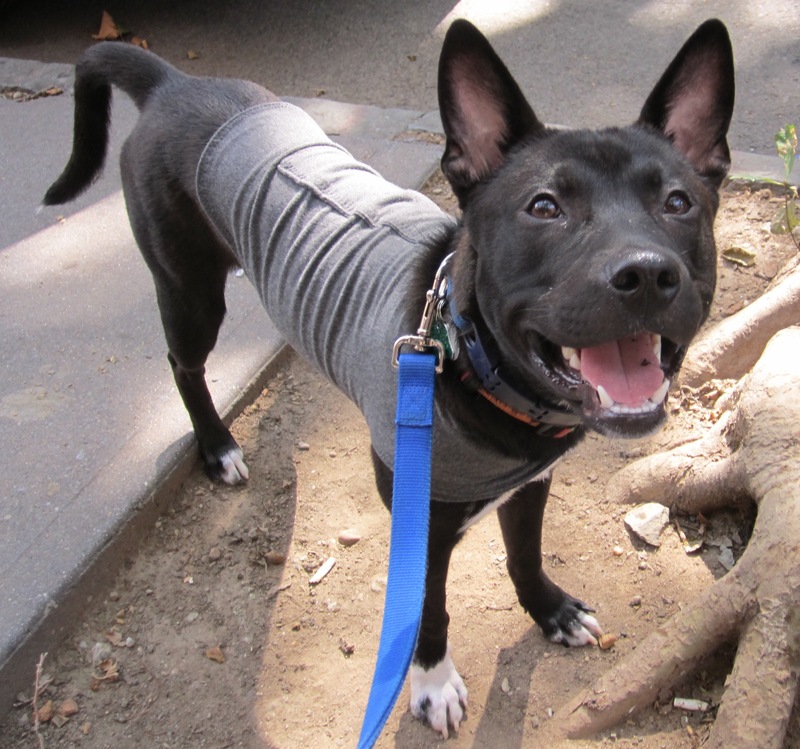 Samba (our doggie) has never been, but is panting at the thought of getting to run around in the tropics full-time! OUR PROJECT: The idea for our project emerged as we began to discuss our deepest dreams for ourselves and our future. Some of the most important things on my “dream list” had been lingering unchecked for awhile; spending a year living in another country, learning to speak Spanish, writing a children’s book, communing with nature, and learning how to grow things. Renzo had just begun thinking about going back to school for herbal medicine. He began to tell me about how before his grandfather had passed away, he had been a farmer in DR but his land and home had since been left unattended and wasn’t being maintained. The seed for our project was planted. 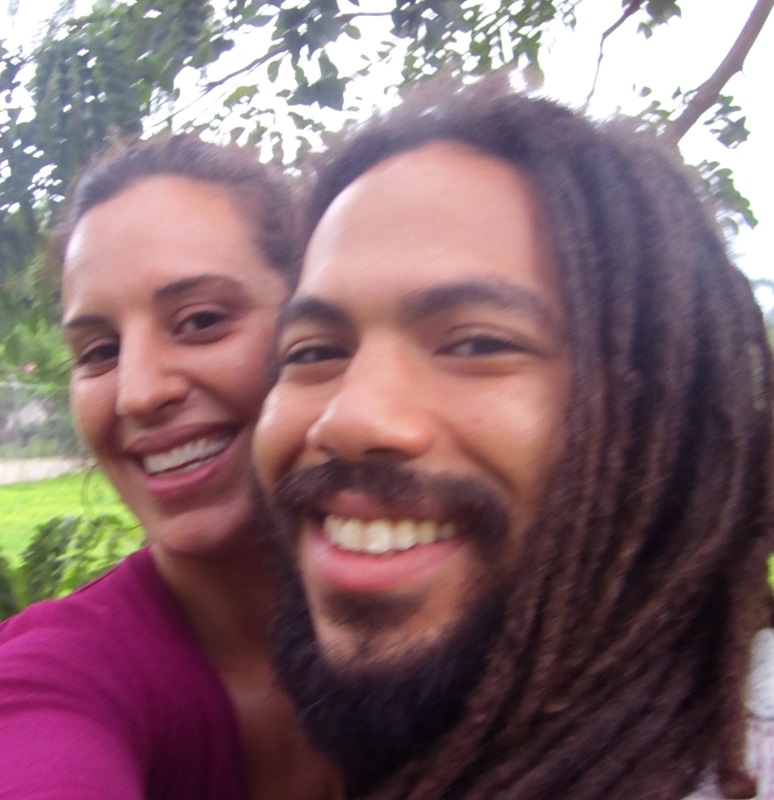 (Pending a few very major things) we would go to DR for one year, and parallel Renzo’s studies in herbal medicine with the re-cultivation of his grandfather’s land, fixing up his grandfather’s house, and documenting it all on a blog. In addition to partnering with Renzo on the project, I would study Spanish, research the rich mixture of cultures that contribute to the art of the country (Taino, Spanish, & African), and keep in touch with my former art students through virtual lessons, Skype, and this website. rootsman, natural healer, musician, writer, teacher, animal lover, photographer, cook, computer whiz, astrologer, political activist, rebel, and proud child of Jah. an artist/art teacher, jeweler/metalsmith, writer, knitter, cook, seamstress, maker of herbal bath & beauty products, bass player, truth-seeker, adventurer, and nature-lover. Thanks for reading about us & our project, hope you enjoy checking out our site! Good Luck Anne and Renzo. The pics are beautiful. Hope you guys become a big success and most of all enjoy everything you do. Remember once you get going and want to start shipping those goods out give me a call and if i can help in any way i am there. love dolores. Thanks Dolores! We appreciate your help! Gracias! Love you!!!! Can’t wait until you visit, you will love the food & the people!!!! I didn’t know that about you Jen! Thanks for following the blog & thanks for your well wishes!